So you have a hankering for a mango tree, do ya? By all means, do join the club! The effort is worth it. That said, if you live in Alaska or Massachusetts, you may have a “small problem” because mangoes have been mostly cultivated in the tropics and they aren’t going to evolve to cold climate trees anytime soon! I’ve heard of a few die hard enthusiasts shuffling contained trees in and out of garages to protect trees from cold temperatures, but these are extreme gardeners and I don’t recommend this for the average mango loving Joe. BUT, they ARE worth a fair amount of trouble, given their unique flavor, fragrant smell, and health promoting qualities. They don’t call mangoes the “King of the Fruits” for nothin’. Ok, so here’s a quick rundown about geography. Even though mangoes are a tropical fruit, there are regions in the United States where they can grow successfully grow. They can be commercially cultivated in South Florida, California’s Coachella Valley and Hawaii. They are also grown as outdoor yard trees in southeastern and southwestern coastal areas, and along the southern shore of Lake Okeechobee. And of course, there are pockets of warmth across the USA where home growing is absolutely feasible. 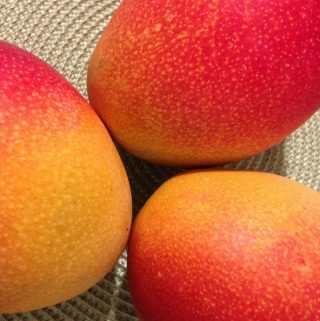 Since there are over 400 varieties of mangoes, each with its own unique taste and features, it can be hard to choose the variety to plant at home. Check with the nursery you intend to buy your trees from (tell them your growing conditions) and/or consider these options. Harvested in late May to June, Glenn holds its position as one of the best varieties due to its rich, sweet, silky, and peachy flavor. It has a very attractive appearance due to its color, yellow to pink to red. Accompanied by a sweet aroma, it is a favorite in home gardens in Florida because of its consistent production, disease resistance, and excellent quality. Carrie is a home garden favorite that can be harvested from June to July. It is a small tree with excellent-flavored fruit of green to yellow color. It is highly aromatic with a sweet and tangy flesh. It is an excellent dooryard tree with minimal care required. Many people consider Carrie as the best tasting mango that exists. Many nurseries sell mango trees in numerous varieties AND they ship them all over the regions where they can be successfully grown, so call around and see what’s available and what would work best for your area. Here are a few sellers in Florida. Erickson Farm Inc. stocks and sells mango trees during the mango season when the stand is open. They sell 12 varieties including Keitt, Glenn, and Carrie nationwide. The farm is open Monday to Friday at 13646 US Hwy 441, Canal Point, Florida. You can contact them by phone at 924.7714 or visit their website http://www.ericksonfarm.com/. Pine Island Nursery opens from Mondays through Fridays between 8 am and 4:30 pm and Saturdays between 9 am and 3 pm. Visit the nursery at 16300 SW 184 St. Miami, FL or call their landline 305-233-5501. You can also visit their website, http://www.tropicalfruitnursery.com/. They sell mango trees only within North America and offer free shipping on orders above $750. Spyke’s Grove sells over 50 varieties of mangoes. You can visit them at 7250 Griffin Rd, Davie, Florida or call them at 954-583-0426. You can also visit their website, http://spykestropicalnursery.com/. Once you have chosen a mango tree (oh the joy!) the planting-at-home venture begins! 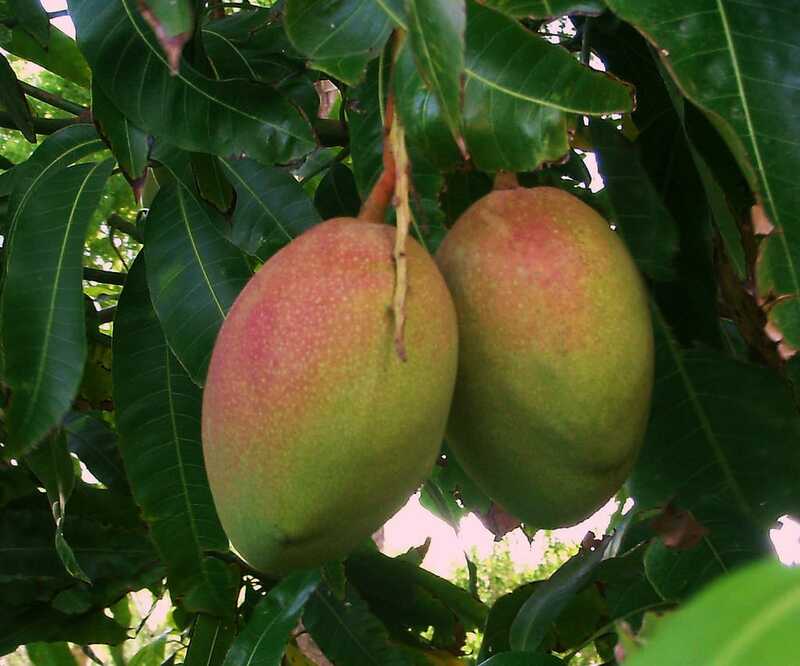 Mango trees can be grown in containers or in your yard. Use well-drained, rich soils to get the best fruit quality and production. Poorly drained soils often result in less than stellar crops, so plant them in the warmest area that does not flood after raining. Mangoes need lots of direct sunlight, so they don’t grow well indoors. (I know, you weren’t even considering this option!) Choose a location where there is a lot of space, with no roof or large trees to shade your precious new specimen(s). In my post about condo mangoes and dwarf mangoes, I included some growing instructions and tips. Check them out here. 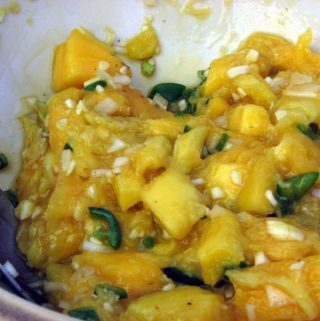 It can’t be said about everything, but with mangoes, you will truly appreciate the sweet fruits of your labor. Hah! Now go plant some trees! Previous Post: « Condo Mango Trees & Dwarf Mango Trees. I KNOW You Want One.